These are just words, I told myself. They don’t mean anything. If it upsets you, don’t listen. Pretend he said something else. “We need to let those fags and dykes know they’re not going to run our country,” he said. Sticks and stones, break our bones, but words go places sticks and stones can’t reach. They seep into our thoughts and strangle our souls. At that moment, I felt like I couldn’t just say please and thank you. I couldn’t pretend he didn’t say anything. You can get an e-version of the entire story for .99 at Amazon HERE. 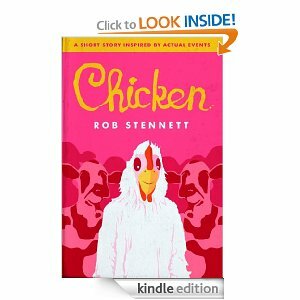 No matter which side you found yourself during the recent chicken restaurant hubbub, you should check this out because Rob uses his excellent story-telling skills to raise all kinds of important questions. I hope you’ll take the short time it takes to read this and let Rob or I know what you think. This hurts my heart. I don’t care what your values are or aren’t – that is no way to speak to or about someone. That was enough to compel me to buy it. Thanks for posting this Shawn and the kind words. Also: This is my first time commenting on a blog while in Africa.